At the head of everything is God, the Lord of Heaven. Then comes Prince Torlonia, lord of the earth. Then come Prince Torlonia’s guards. Then come Prince Torlonia’s guards’ dogs. Then come the peasants. And that’s all. Debates and arguments: David Cesarani, Marek Edelman and Michal Kaminski – click the link from Engage, then return to read the comment thread. From the magazine rack: 1989 Timothy Garton Ash (NYRB); What Is to Be Learned? Thinking about 1989 Mitchell Cohen (Dissent); The Memory That Will Not Die: Exhuming the Spanish Civil War Julius Purcell (Boston Review); 100 Years of Servitude: Gabriel García Márquez’s Infatuation With Castro and Other Dictators Enrique Krauze (New Republic); Terry Teachout on the Congress for Cultural Freedom (Commentary). Book reviews: John Gray on Robert Service’s Trotsky; Jonathan Yardley on Kati Marton’s Enemies of the People; DG Myers on two Lionel Trilling biographies; Colm Toibin on Sheila Rowbotham’s Edward Carpenter. Some Irving Kristol obits I missed: Christopher Hitchens, David Brooks, Myron Magnet, Eric Alterman , Michael Lind, Justin Vaïsse, Kevin Mattson, Seth Lipsky, John Guardiano, Christopher DeMuth, Mary Eberstadt, Joseph Epstein, Danny Finkelstein. Archival: Walter Lacquer on Why the Shah fell (1979). Nestor Makhno was born today in 1888. Alexander, Richard. Nestor Makhno, Anarchy’s Cossack: The Struggle for Free Soviets in the Ukraine 1917-1921 by Alexandre Skirda [Review]. Alexandre Skirda, Nestor Makhno – Anarchy’s Cossack : The Struggle for Free Soviets in the Ukraine, 1917-1921 [Review]. Dubovik, Anatoly and D.I. Rublyov. After Makhno : The Anarchist underground in the Ukraine in the 1920s and 1930s: Outlines of history & The Story of a Leaflet and the Fate of Anarchist Varshavskiy.. NEW! Bourne, Randolph, Ricardo Flores Magon, Gustave Hervé, Anna Key, Louis Lecoin, Pierre Ruff and An Uncontrollable from the Iron Column. No war but the class war! Libertarian anti-militarism then and now. Skirda, Alexandre. 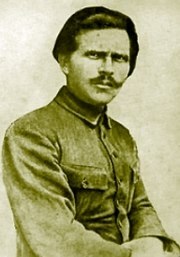 Nestor Makhno – Anarchy’s Cossack. Voline, Leo. Interview with Leo Voline. Gathering Forces is another blog what I think I’ve referred to before — but, now that I search for it, actually haven’t, I don’t think — that raises some interestink questions. If anything I wrote made the slightest difference to the success of their project, I’d wish them luck. It doesn’t, so I won’t. Stalin’s Moustache is all about Stalin and his moustache. Rather cleverly, the writer’s obsession with the facial hair grown on the upper lip of Uncle Joe is disguised by his authorship of various blogposts, articles and even books, seemingly dedicated to exploring such notions as socialism, biblical studies, politics, theology, philosophy “and so on”, but which the discerning reader, armed with the relevant machinetranslation, will soon discover are really all about Stalin (and, moreover, his moustache). 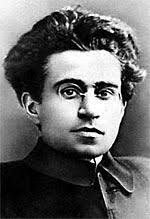 Stalin is alleged to have remarked that ‘Everybody has a right to be stupid, but some people abuse the privilege’. ‘There’s a sucker born every minute’ is a phrase often credited to P.T. Barnum (1810–1891), an American showman. ‘Never give a sucker an even break’, said W. C. Fields. There then follows a long piece by Jorge Semprun which I highly recommend. Read it. As in many other instances we have here a clear case of mass murder subject to criminal prosecution. The passions of [Trotsky’s] intellect and heart, always uncommonly large and intense… swelled into a tragic energy as mighty and high as that which animates the prophets and the law-givers of Michelangelo’s vision. Some interesting stuff too in the comments thread. And from an opposite perspective, the Cedar Lounge Revolution on a review by Robert Harris of Service’s book. Also an interesting comment thread. Or, for a totally different sort of Trotsky biog, check this out. Bonus links: Trotsky on terrorism 1 & 2, Exile in Buyukada, Peter Taafe on Robert Service, Trotsky on factionalism, Sergei Essenin. The image at the top comes from a wonderful photoset which goes with this nice post: The Trotsky Museum. Click here for related posts, including Trotsky’s bad driving, Hitchens and Service chatting about Trotsky, Stalin’s nemesis, Trotsky’s ashes based into cookies. Song of the partisans: a Yiddish partisan march, with breakbeats, by geberk. “I read your story about the mandoline, it was interesting, I too have a strong interest in the jewish resistance history and I am specially fascinated by the “little” stories. When I was young we were singing the jiddish songs of Hirsh Glik and others… since I know about your electronical music background I wanted to share my new track with you: I called it jiddish partizan marsh, it’s based on the melody of Sog nit kejnmal als du gejst den letztn”. Wikipedia: Hirsch Glick (1922 Vilna, Poland – 1944 Estonia) was a Jewish poet and partisan. Glik was born in Vilna in 1922. He began to write Yiddish poetry in his teens and became co-founder of Yungvald (Young Forest), a group of young Jewish poets. After the German assault on Soviet Union in 1941, Hirsh Glik was imprisoned in the Weiße Wache concentration camp and later transferred to Vilna Ghetto. Glick involved himself in the ghetto’s artistic community while simultaneously participating in the underground and took part in the 1942 ghetto uprising. In 1943 he wrote his most famous work, the song Zog nit keynmol, az du geyst dem letstn veg (זאג ניט קיינמאל, אז דו גייסט דעם לעצטן וועג), which became the anthem of the Jewish partisan movement, and Shtil, di nakht iz oysgeshternt. 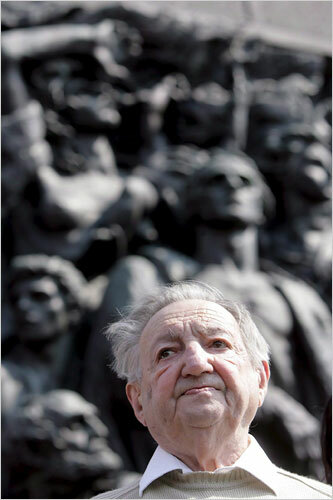 He was inspired to write this work by news that arrived of the Warsaw Ghetto Uprising. Glik managed to flee when the ghetto was being liquidated in October 1943, but was re-captured. He was later deported to a concentration camp in Estonia. During his captivity he continued to compose songs and poems. In July 1944, with the Soviet Army approaching, Glik escaped. 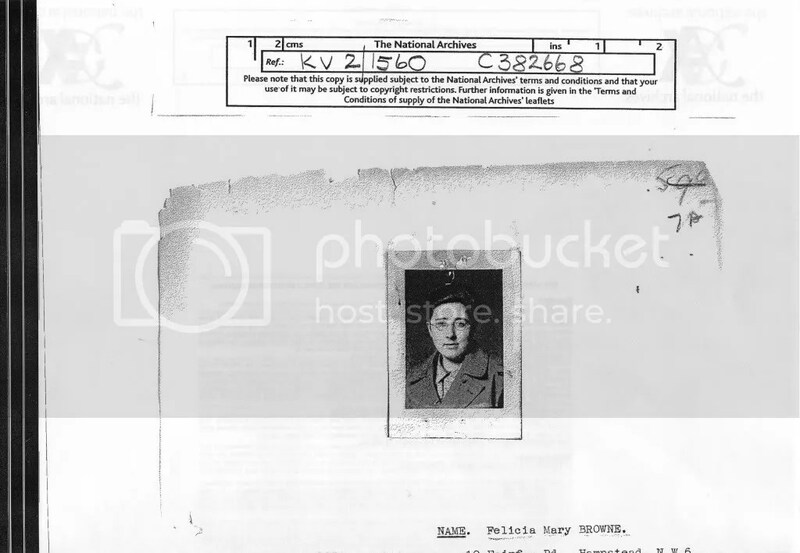 He was never heard from again, and was presumed captured and executed by the Germans (reportedly in August 1944). “Zog Nit Keyn Mol” (Yiddish: זאָג ניט קיין מאָל) (also referred to as “Partizaner Lid” or “Partisan song”, though it shares this title with other works) is the name of a Yiddish song written in 1943 by Hirsh Glick, a young Jewish inmate of the Vilna Ghetto. The song is considered one of the chief anthems of Holocaust survivors and is sung in memorial services around the world. During the war it was the anthem of various Jewish partisan brigades. 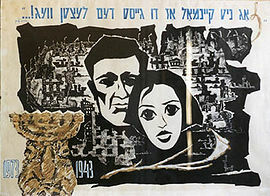 A mural of Mordechai Anielewicz and his girlfriend Mira Fuchrer in the Warsaw Ghetto Uprising. The mural is headed by the opening line of the song. The lyrics Glik wrote were later set to music by Dmitri Pokrass. The title means “Never Say”, and derives from the first line of the song, “Never say that you have reached the final road.” “Zog Nit Keynmol” was adopted by a number of Jewish partisan groups operating in Eastern Europe. It became a symbol of resistance against Nazi Germany‘s persecution of the Jews and the Holocaust. Though leadened skies may cover over days of blue. There are courage and our spirit have rebirth! This song as password generations must remain. Some alternative histories: The shipwrecked: anti-fascist refugees during WWII. Francesc Ferrer i Guàrdia a century after his death. Rising East: London radical history day. Karl Pfeifer in Jerusalem. Marek Edelman: Two more for the list: Terry Glavin’s post has a fascinating comment thread (I agree with The Plump), plus: This mandolin kills fascists. La lucha continua: Venezuelan anarchism: Introducing El Libertario. 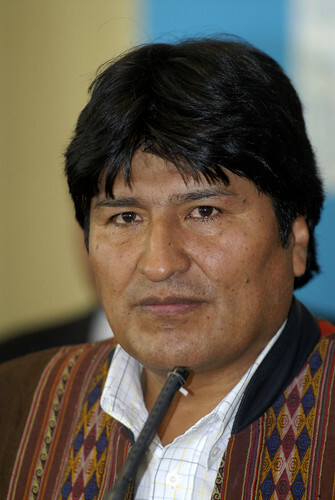 Save Obtilia Eugenio Manuel. A visa for Principe Gabriel Gonzalez. On old and new Stalinisms: Repelling Stalinoid attacks on Makhnovism. Happy Honecker! Nazi-Comintern collaboration and the DDR. A glorious leap backward. Socialist Unity: From Soviet Union to the GDR, and the People’s Republic of China. 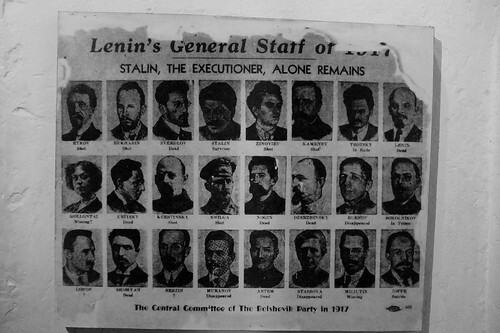 Stalin a mass murderer after all. The democratic socialist tradition: The uncollected Michael Foot. Changing times: Minnie Lansbury and Poplarism. Reading about George Lansbury. Tom Paine for today. 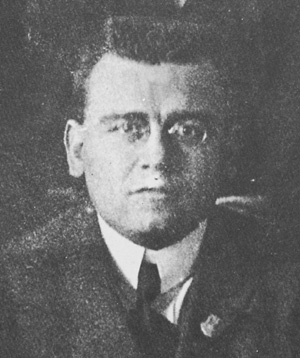 Theory and praxis: Murdering the dead: on Amadeo Bordiga today. Castoriadis and magnanimity. Politics and morality: The IMG and the morality of the Brighton bombing. The new McCarthyism and the BNP. 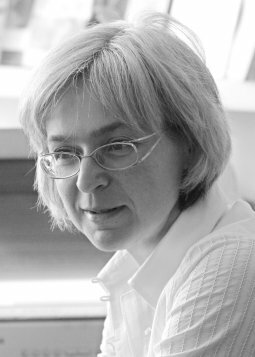 A fitting tribute to Anna Politkovskaya. Two versions: from Rosie Bell and Andrew Brown.